If you’re a music aficionado who is looking for a better listening experience of your favorite artists’ recordings, you can’t beat vinyl for audio quality and the warm sonic experience this recording medium provides. But if you have limited or zero experience listening to vinyl records, a bit of an introduction to this technology is in order. Here are the basics of what you need to know before starting your very own vinyl records collection. 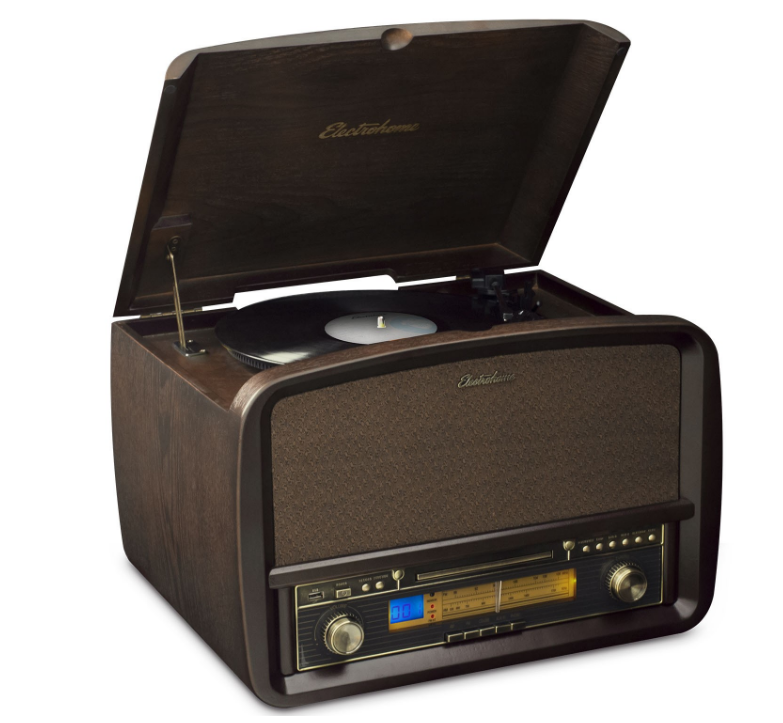 Music enthusiasts prefer listening to music on vinyl for a number of reasons. Some are motivated by a sense of nostalgia, because they listened to records in their youth before the era of CDs and streaming music. Others like vinyl because of the ritual of the experience, since you have to get up to turn the record over when side A is finished. Vinyl records typically come with eye-catching cover art, which accentuates the experience with images, liner notes and lyrics. Above all, fans like vinyl for the warm, analog music experience it provides, which for many is purer than digital recordings. Where you will buy your vinyl records depends on a number of factors. If you live in a community that does not have any music stores, you’ll either have to travel to another city (for example, you live in a rural or remote area but the nearest university town is within easy driving distance). A benefit of getting your vinyl from a local record store is that the employees will likely be vinyl experts who can help guide you in making selections. Otherwise, you can get your fill of music online. Individuals who have an Amazon Prime account may want to take advantage of this site for vinyl, since they get free two-day shipping on all eligible purchases. Or, you can try an online community that focuses on music in vinyl format, such as discogs.com, where fellow fans can help you discover a wide range of recordings. A vinyl record is an analog recording. This means that the music being recorded is translated into the grooves of the record with no compression. You get the entire sonic experience as the artists intended during recording and final production at the mixing board. Digital copies discard some of the information that was captured during the recording session in order to compress the file for easier transmission over the Internet for streaming or downloads to the user’s computer or MP3 player. 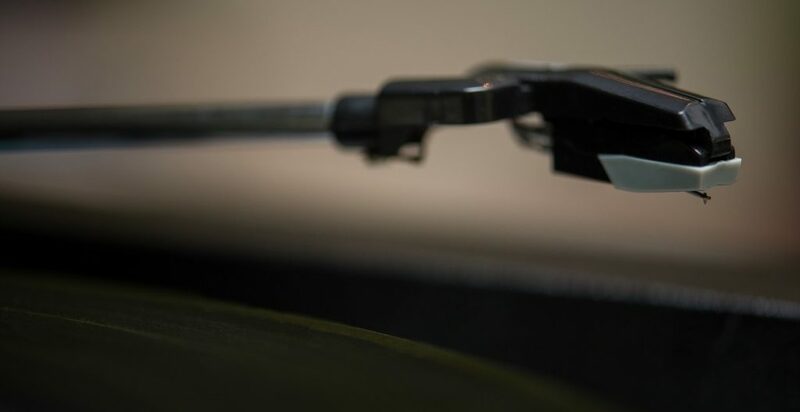 As a result, many purists find that analog recordings of vinyl records offer higher fidelity and a more accurate representation of the music than compressed audio found in digital recordings. 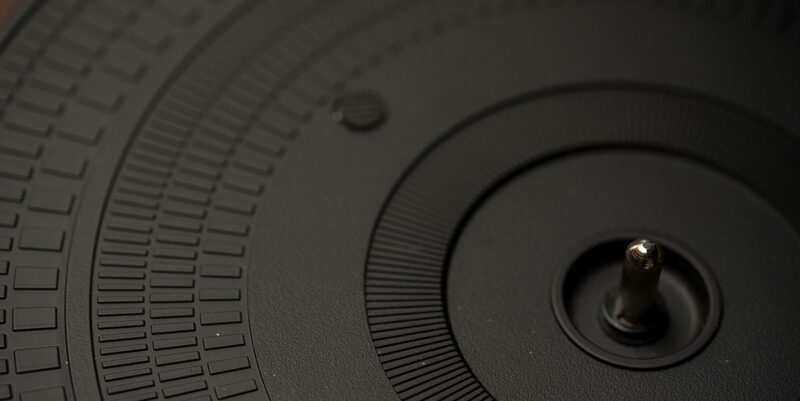 Platter: You place your vinyl record on this round surface. Tonearm: The tonearm is located on the side of the record player’s platter. It holds the stylus, which is the part that actually touches the spinning record. Needle/Stylus: The stylus or needle lands in the groove of the record. 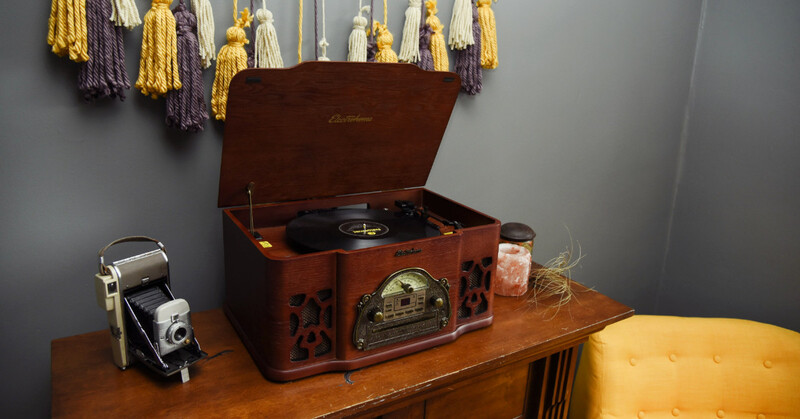 It reads changes in the grooves that correspond to the recorded sounds so they can be heard through the record player’s speakers. A record player has a cartridge that is connected to the end of the tonearm. It holds magnets and wiring to transmit the signal picked up by the stylus. You can expect your cartridge to last between 500 and 1,000 hours of play. The best way to know if your cartridge needs to be replaced can be determined by listening. If the music playback starts to suffer, a worn cartridge is the likely culprit. 33 1/3 RPM: This is the speed usually used for long-playing albums, with up to 30 minutes per side. 45 RPM: This type is typically used for singles, with one song on the “A” side and another song on the “B” side. 78 RPM: Records made through the 1950s often came out at the relatively faster speed of 78 RPM, which allows for about 3 minutes per side. You manually select which speed to use on your vinyl record player according to whether it is 33 1/3, 45 or 78 RPM. Unlike purchasing new vinyl records, where you can expect a pristine copy of your music, when it comes to used records, it’s best to buy from trusted providers who care about the consumer’s listening experience. Inspect records for signs of warping, scratches or chipped edges before you make your selection. In fact you should do this when opening new records as well to ensure you are getting a mint copy. Now that you have a better understanding of what is involved in starting your own vinyl collection, this would be a good time to start checking out your favorite recording artists. Whether you are interested in getting vinyl records of classic music from previous generations or want to focus on new recordings from contemporary performers, you have a variety of genres from which to choose. And remember that it’s much more fun to share your music with friends, family and neighbors, especially those who have never had a chance to experience the warm tones that come from vinyl records as compared to digital music that they download or stream to their devices.